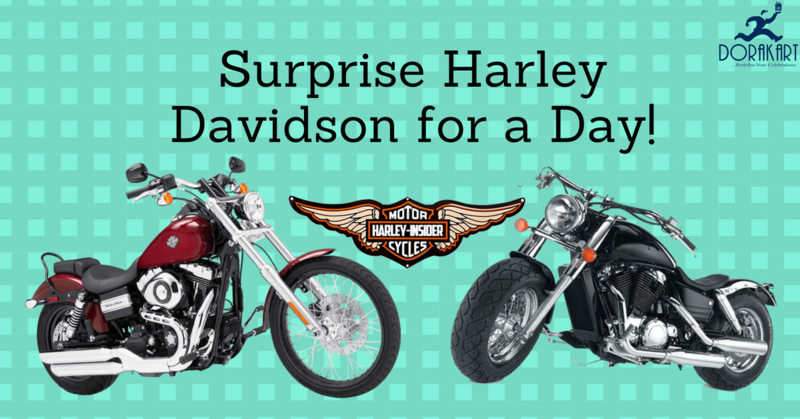 If he/she has always wanted a Harley Davidson, make his dream come true – at least for a day! A Harley Davidson 750 series (54 bhp and 750 cc) can be rented for a period of 12/24 hours. The package includes a super cool jacket and an equally stylish helmet. 1. Price excludes the cost of petrol. 2. A copy of the special person’s 2-wheeler driving license and Adhaar/PAN card will need to be submitted at the time of pickup. 3. In case of any disputes, they will be have to be settled directly with the service provider. Video can be taken during the execution and shall be updated in our YouTube Channel for download. (If privacy of the video has to be maintained please inform us prior).